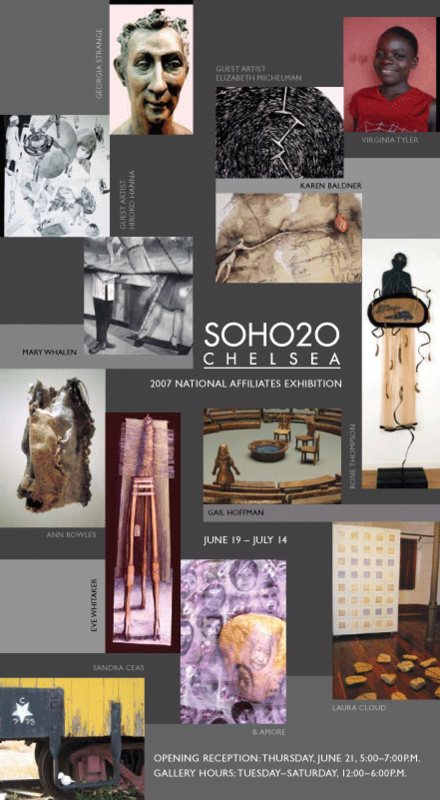 SOHO20 was founded in 1973, in New York’s Soho art district, as a non-profit, artist-run gallery devoted to increasing public awareness of the excellence and diversity of women’s art. 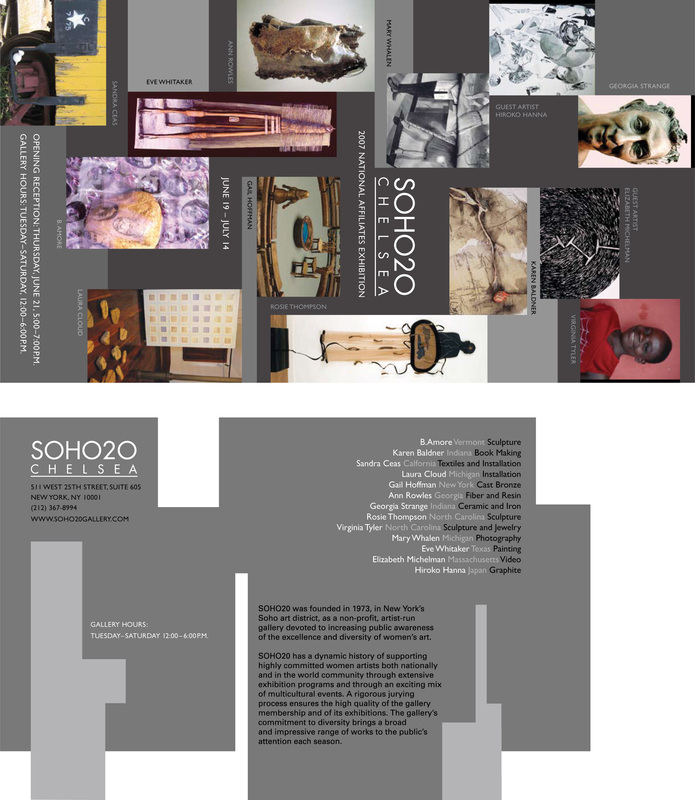 SOHO20 has a dynamic history of supporting highly committed women artists both nationally and in the world community through extensive exhibition programs and through an exciting mix of multicultural events. A rigorous jurying process ensures the high quality of the gallery membership and of its exhibitions. The gallery’s commiment to diversity brings a broad and impressive range of works to the public’s attention each season.